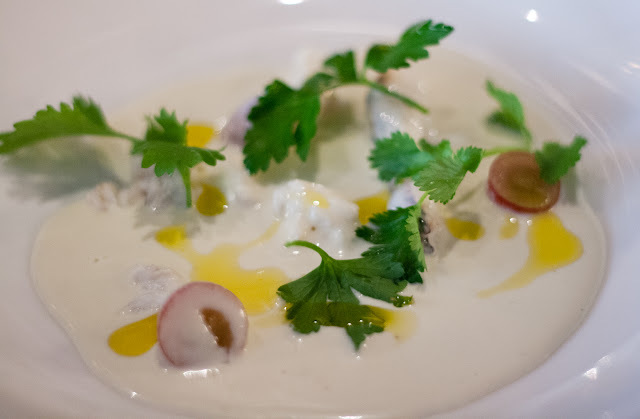 Almond Gazpacho with Blue Swimmer Crab. 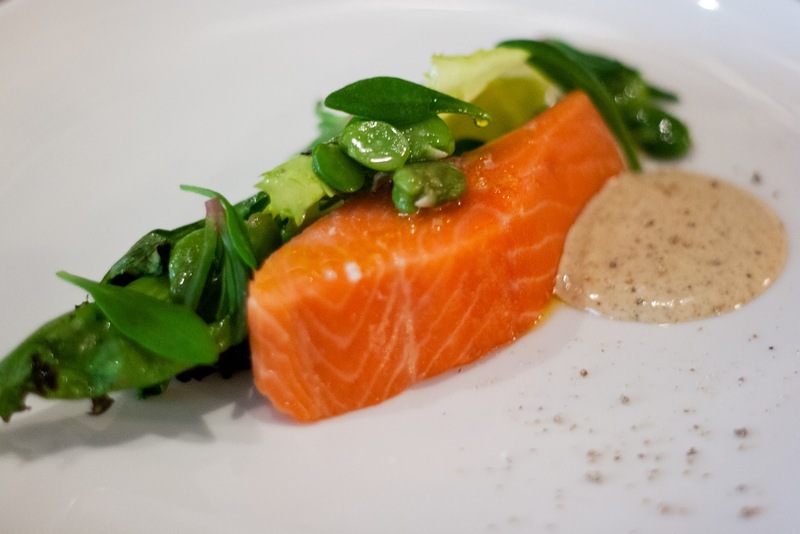 Ocean Trout, Escarole & Broad Beans. 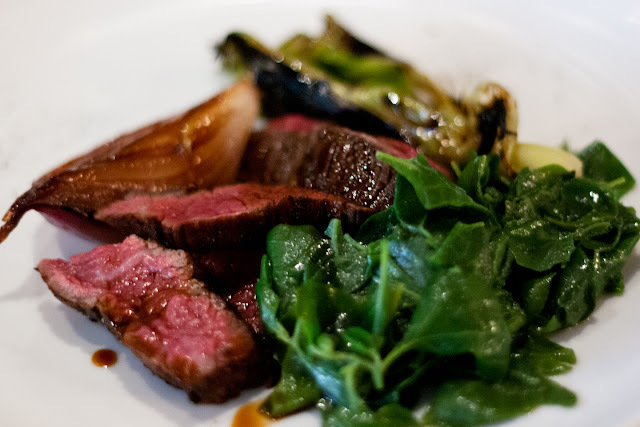 Wagyu Bavette, Saltbush & Organic Leek. 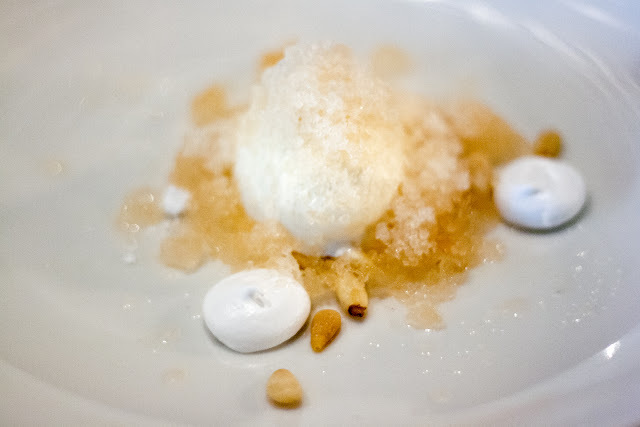 Ginger Granita, Lemon Verbena Ice Cream, Poached Pear & Pine Nut.